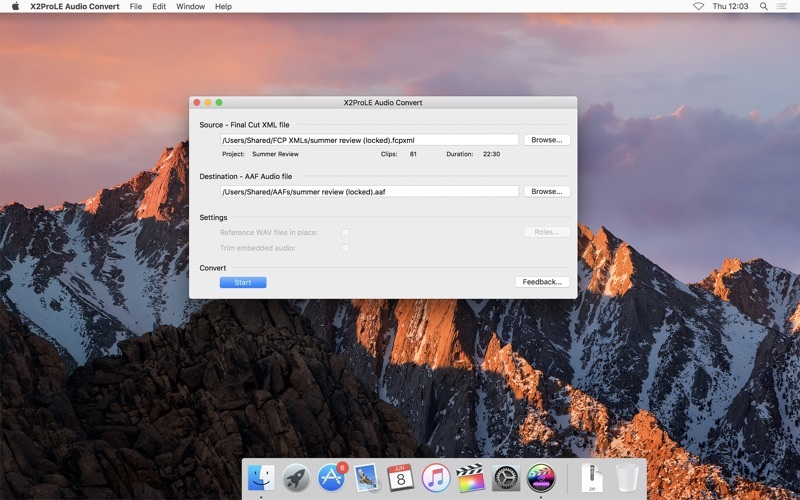 Move your Final Cut Pro X projects to the audio suite simply and quickly. X2ProLE Audio Convert takes your FCP X XML and creates an AAF with embedded audio media which Avid Pro Tools can open as a session, delivering seamless integration between the two applications. The AAF has also been successfully imported into Steinberg Nuendo, Merging Technologies Pyramix and Apple Logic Pro X.
X2ProLE has a simple to use, user interface which provides feedback on key project statistics. Taking advantage of the innovative Roles features in FCP X; sorting tracks by name so that sound designers can start working immediately. Media is embedded in the AAF to create a single, simple to transfer, file. X2ProLE faithfully translates your audio timeline along with L-cuts, J-cuts, transitions, levels, automatic gain and fade handles, as well as the incredibly powerful FCP X compound clips. Transitions are converted into linear cross fades. Audio media can be any QuickTime supported audio, non-PCM audio is converted to PCM at either 16 or 24 bit. Multicam Clips are effectively translated taking across the audio of the selected angle. X2ProLE gives a clear warning when it comes across elements of a sequence which it does not translate such as time maps and effects. We recommend rendering an off-line or proxy version of the flattened video and exporting that if a reference is needed within Pro Tools. Only audio media is translated by X2ProLE. The screenshots show the same project in FCP X and after conversion in Pro Tools, Logic Pro X and Pyramix. 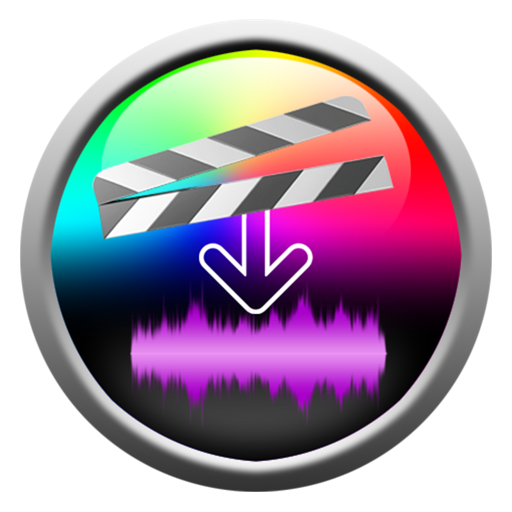 X2ProLE Audio Convert is a cutting edge conversion application for delivering FCP X projects for audio finishing. X2Pro uses Marquis Media Highway technology to integrate FCP X into the established professional audio workflow. Marquis Media Highway is the core technology employed by Marquis’ media integration products – it improves how broadcast production systems interoperate by delivering a seamless and cost-effective integration between leading broadcast content applications. Marquis Broadcast specializes in content workflows and media integration software and has been delivering solutions to broadcast since 1998. Better warning message when encountering problematic media. Use of v6.2.2 of RED SDK.